Here’s another of Harvey Hadden’s Vancouver investments – possibly his first. The corner of Hastings and Cambie was important – across the street from the courthouse and near the newspaper offices. C O Wickenden designed the new Hadden investment, a series of retail stores and offices called ‘The Arcade’. S M Eveleigh was working in Wickenden’s office at the time, and knowing that Eveleigh subsequently designed a number of other buildings for Hadden, he may also have been involved with this one. Donald Luxton, in Building the West, records the impressions of the Arcade when the economy was in the doldrums despite the arrival of the railway “the enterprise betokened temerity for what prospect was there for Vancouver? What was there to lead one to suppose that this far city in the west would ever develop into anything worthwhile?“. Just twelve years later the building was torn down and replaced over a two year construction period with, for a while, the tallest building in the British Empire; the Dominion Trust Building. Undoubtedly, as with the Royal Bank site, Harvey Hadden made a substantial profit on the sale of the site. J S Helyer and Son were the architects of the Dominion Building, completed in 1910. A year earlier another office tower was completed to their design on West Hastings, within sight of the Dominion construction, and next door to the Province Building. The Stock Exchange Building was an 8 storey steel-framed building on a 25 foot wide lot, costing $75,000 to build. 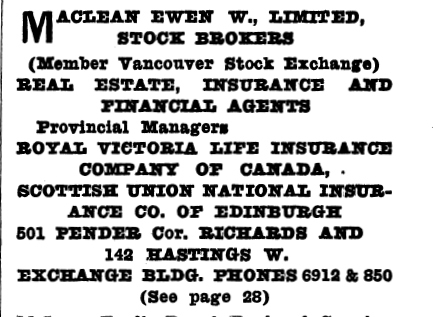 In 1910 it was already full, with the offices occupied by financial agents, stock brokers, Securities Companies, and on one sixth of one floor, the Vancouver Stock Exchange. The Province had a couple of offices on the second floor, along with the Pacific Coast Stock Exchange, among others. Higher up the building, among the various other financial and real estate offices were architects W Marwell Somervell on the fourth floor (called Somerwell in the directory of the day) and Campbell and Bennett two floors higher. They shared the floor with a timber company and the Giant Powder Co. On the top floor Coughlin and Co, Structural Steel had an office (but not the contract for the building, which went to Smith and Sherborne) as well as J S Helyer and Co – who could see their newly emerging tower from this one. Five years later almost every company had changed – except the Vancouver Stock Exchange. The architects had gone, but P S Combs and Son, architects had moved in, and M D Campbell, architect had moved to the fifth floor. On the top floor Braunton and Leibert had replaced the Helyers. In the 1920s the arcade retail store took over the main floor, and the building next door, and the elaborate arched entrance was lost. By the 1930s it was called the Ray Building, the offices were a much broader range of professions with a number of doctors, but almost no financial or real estate companies, and no architects at all. In 1956 ‘Handsome Harry’ Hooper, Vancouver’s first cab driver (owner of a ‘wheezy two-cylinder Ford’ in 1903) died, aged 81, while living in his ‘office’ in the building. His residential use of the building pre-dated its official conversion to Single Room Occupancy in 1984, and improvement (by adding bathrooms and kitchens to each unit) to non-market housing (now called Regal Place) in 2000. Still in need of some external tlc, (and its fabulous lost cornice) the building functions as a significant slender beacon on the street. The three significant buildings seen in the view from Victory Square in 1927 are still there. On the left is the 13 storey Dominion Building. Started in 1908 by the Imperial Trust Company it was designed by J S Helyer and Son. 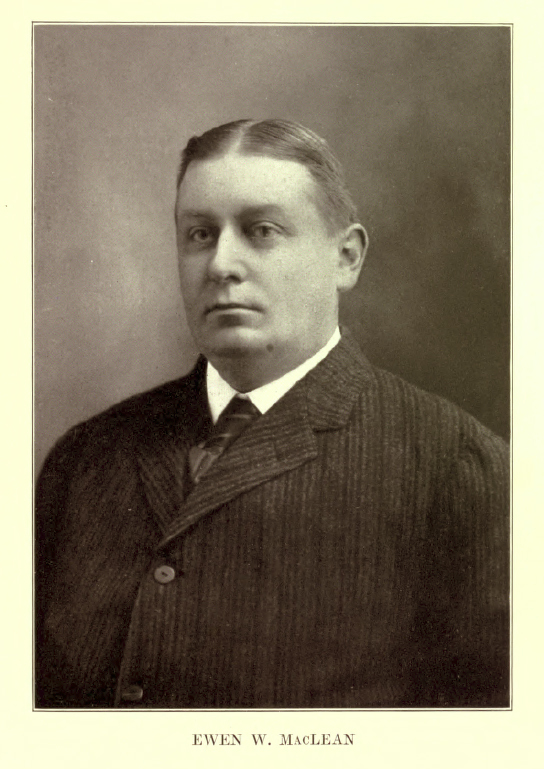 John Helyer handled the architectural aspects of their projects, while his son Maurice was more involved with the engineering. An over optimistic belief that the necessary $600,000 would be easy to raise led to a shotgun merger with the Dominion Trust Company, and the building was completed in 1910. Perhaps it would have been called the Imperial Building if the merger hadn’t been needed. It may well be true that Mr Helyer (not Hellyer) did fall at some time during the building’s construction, but the fall was not fatal and father and son went on to design other buildings. John Helyer finally died in 1919, having seen the building suffer further financial crises, with the Dominion Trust Company selling the building to the Dominion Bank, the Trust Company President W R Arnold committing suicide and the main financial backer Count Alvo von Alvensleben bankrupt. The smaller building in the centre, the Flack Block was completed in 1899 to William Blackmore’s design for Thomas Flack who made his money successfully prospecting in the Klondike. On the right is the Carter-Cotton building, also steel framed and completed in 1909. Designed by Cox and Amos, it was home to the News-Advertiser newspaper. Later acquired by the Province newspaper, it continued as editorial offices until 1960. The Flack Building has recently had an expensive and superb restoration designed by Acton Ostry Architects that has added a new fifth floor. And the only significant addition to the picture? The 43 storey Woodwards W Tower designed by Henriquez Partners and completed in 2010.